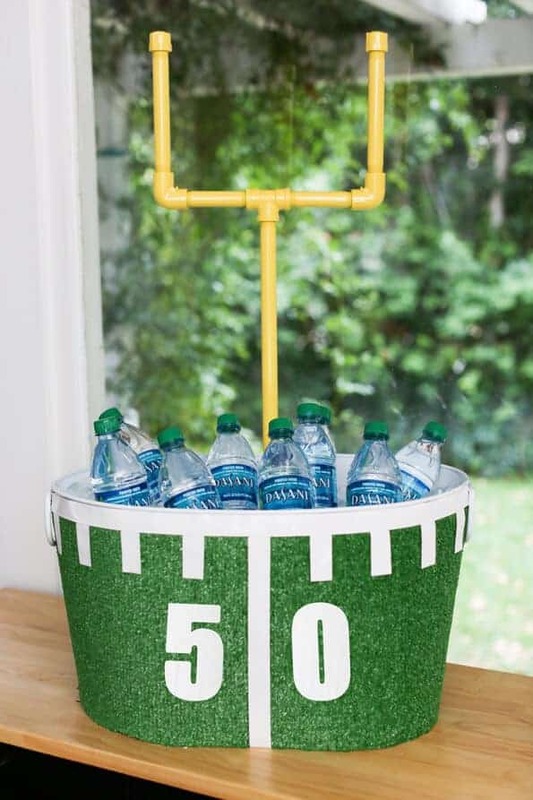 We are totally gearing up for our football party this weekend and in my house, we get totally into the theme! The decorations are almost as important as the food, and the commercials and oh yeah…. the game! 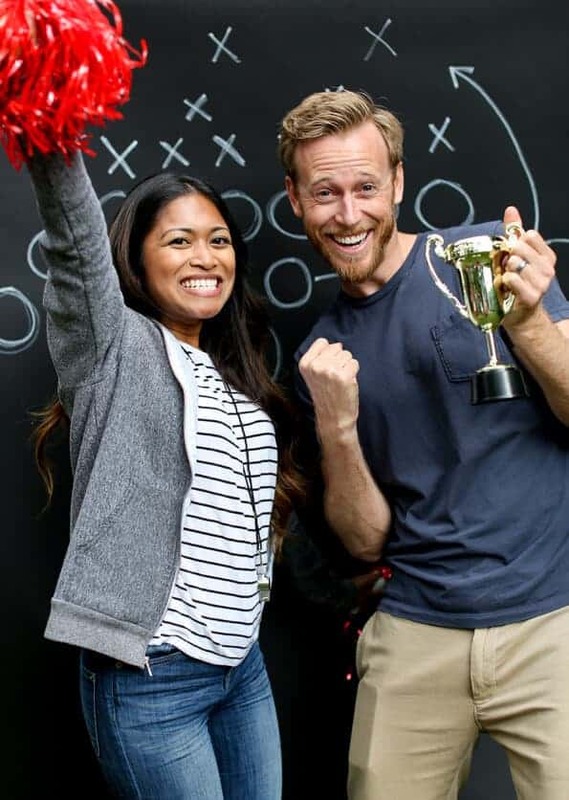 My job is to make it as easy as possible for all of you to have a super cute football party, so I am really excited to be teaming up with Evite and Coca-Cola to share some cheer-worthy decorations. Go team! 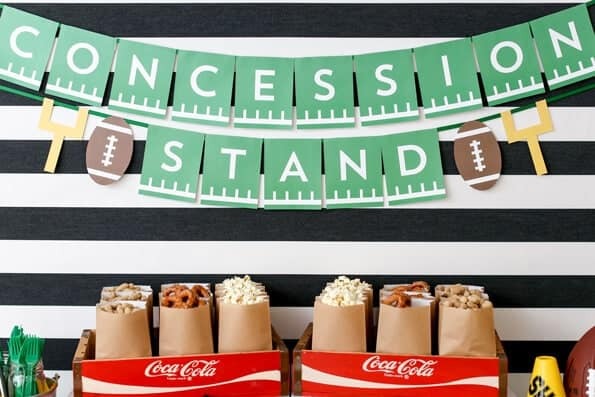 Create a “concession stand” with our free printable banner and display snacks in brown paper treat bags (or trim the tops from brown paper lunch bags to get a similar look). 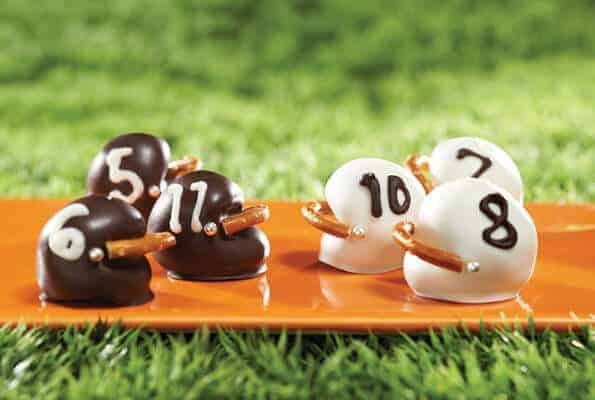 Intersperse footballs, pompoms and other football decorations in your favorite team’s colors among the food and drinks. Covering the table with a field of artificial turf adds to the effect. Create a photo booth with black kraft paper and a chalk ink pen. 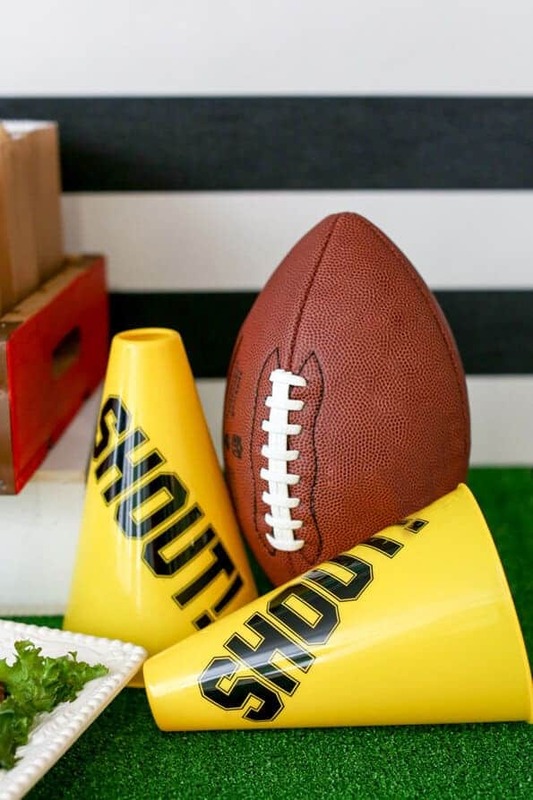 Put out football-themed props, and take pictures of guests with an old-school instant camera or smart phone camera. 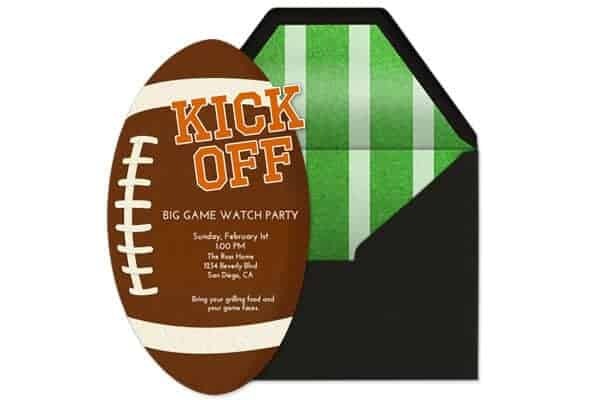 Invite friends over on Game Day with this premium Evite invitation or others from our Big Game invitation gallery! 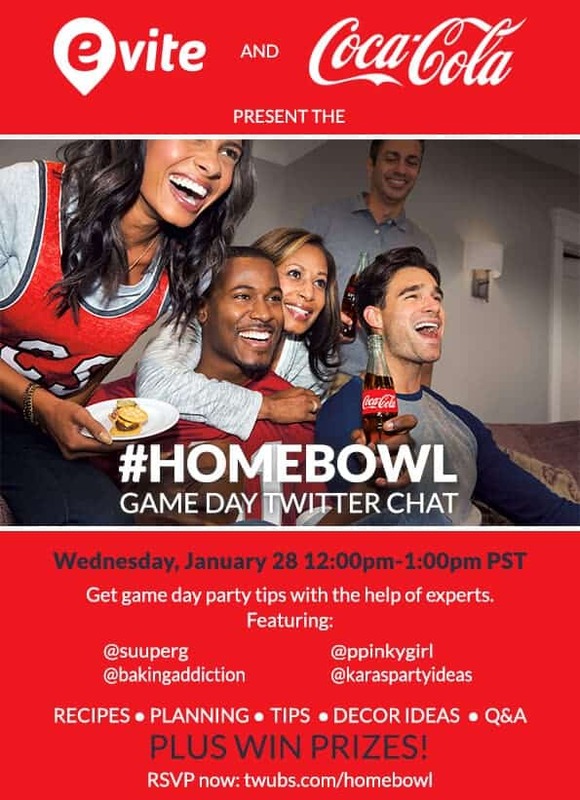 This post contains sponsored links from Evite & Coca-Cola. Clever party decor. Love these oreo cookie balls! 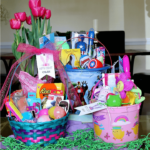 Fun ideas… Thank you for sharing! Pinning! Love all of these ideas. Thanks for sharing! So many fun ideas. Almost makes me wish I liked to watch football!! Adorable! 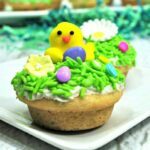 I love all the fun ideas! When you make the banner, what do I attach it with? I see it has fold tabs, but what do you suggest it gets folded onto? Lovely ideas for games day. I think the party decor is awesome. Thanks for the great inspiring ideas.